In addition, a special bonus program was created to encourage passengers who choose our services frequently. You can learn more about the loyalty program here. 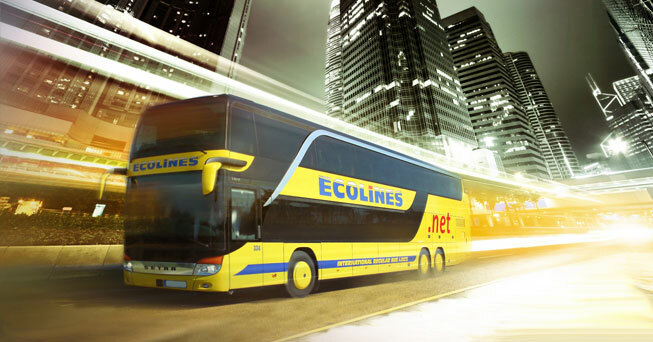 Quality Internet is available for free on most ECOLINES routes. During the long trips, specially trained stewards will take care of passenger comfort.Pricing policy of the company allows to offer our customers discount tickets on a regular basis. You can monitor discount information online on the ECOLINES website and in the following social networks - Twitter, Facebook, VKontakte.